This handbook instructs, inspires, and entertains like no other resource of its kind. Check out The Handbook for Storytime Programs, the companion volume! Afterword "And, Finally . 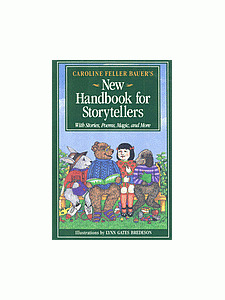 . ."
"This handy how-to compendium is for seasoned storytellers or beginning tale tellers and is bound to become the most highlighted, tagged, bookmarked, post-it noted, and dog-eared well-loved volume on the book shelf." "As a practicing storyteller for many years, The Handbook for Storytellers is the book I wished I had had when I first began telling stories. 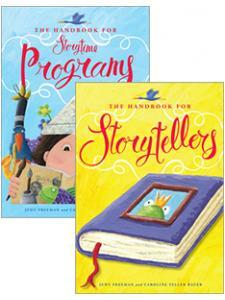 The authors, Judy Freeman and Caroline Feller Bauer, are experts in this field who provide the guidance and encouragement to practice the art and technique of storytelling at any level … The book, an important go-to book for both experienced yarn spinners and beginning tellers, will be an important asset in children's literature collections, in public libraries, and in library school curricula." 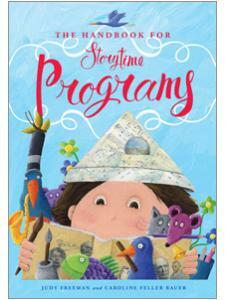 "Beginning storytellers will especially relish this title. Any questions will be answered in this extraordinary volume ... Highly recommended." "A vibrant, in-depth and comprehensive guide to the art and practice of storytelling." "Although the book is aimed at beginning storytellers, even the most experienced tellers will be inspired and discover new sources because the handbook is brimming with ideas for engaging listeners through riveting tales, interactive play, props, and other techniques."